We at Red Candy LOVE the classic designs of iconic chairs and it is definitely something to look forward to from us in our store in the near future. For now though we want to share the brilliance of these design classics with you…in red! The Panton Chair has been identified as a classic of modern furniture design. One of the first models belongs to the Museum of Modern Art in New York and was made of fiberglass. Note that many original designs weren’t originally produced in this yummy colour, but thanks to reproduction and replica manufacturers we can all own our favourites designs in our favourite colour! Barcelona Chair has been an icon of modernism. He took inspiration from old models of folding chairs, where his frame is made of fluid forms of chromed metal. Also known as the Eiffel Chair for it’s steel rod legs that resemble the Eiffel Tower, this chair was originally made from fiberglass as a practical and affordable dining chair. 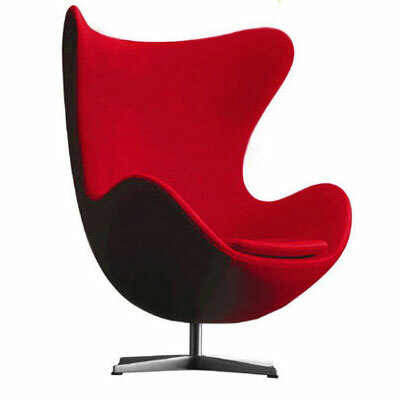 Now it is considered an icon in chair design and. 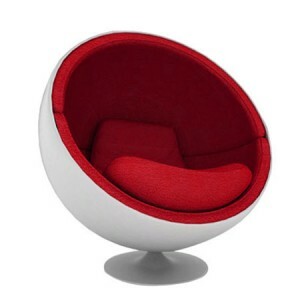 Originally designed for the Royal Danish Hotel, the Egg Chair is a classic chair which it’s original colour was red. This was the kick start to Eero Aarnio’s career, not only being one of the first, but also most iconic of chair designs to date. Corona Chair received high acclaim when first released in 1964 and was used by the chiefs of state in Europe during the EU Summit in Copenhagen in 2002. The RAR Chair was first shown in the “low cost furniture design” contest organized by the Museum of Modern Art in New York and have since becoming a designer icon for which you will be lucky to find at a low cost these days. This iconic office chair is one of the greatest furniture designs of the 20th Century and stands out for it’s intelligent combination of materials that become a load bearing part of the structure. Nelson’s design transformed the traditional sofa into a 3D pattern consisting of 18 brightly coloured sections of upholstery, supported by a simple steel structure. For it’s design alone, the Marshmallow sofa is one of design history’s most unusual sofas. Bocca sofa was named after it’s inspiration from Marilyn Monroe and her iconic image from the works of Andy Warhole. It has now become an iconic piece in itself as it inspires one of our own products called Red Lips Telephone! Although there are plenty more in need of mention, we think this should suffice to inspire those lavish interiors we strive for and share with you, our love for great design. very beautifully design and very beautiful pictures of red furniture i like it.